Educators, parents, and other stakeholders concerned are aware that there are "myriad changes" to be undertaken in the present education system of the Philippines particularly in the basic education in elementary and secondary. President of the Philippines himself who is strongly advocated this K+12 curriculum said in a statement, "We need to add two years to our basic education. Those who can afford pay up to fourteen years of schooling before university. Thus, their children are getting into the best universities and best jobs after graduation. I want at least 12 years for our public school children to give them an even chance of succeeding." Mandating the 5-year olds and adding 2 more years to basic education curriculum is now enforceable for it is approved by the President of the Philippines. This is the main features of K to 12 curriculum as a part of the reforms introduced by the Department of Education. 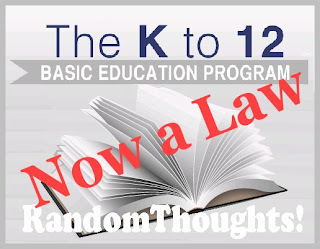 President Noynoy Aquino signed this education reform popularly known as K-to-12 into law. 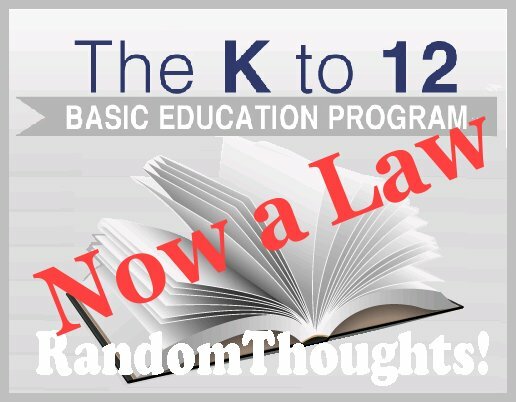 This law is known as the "Enhanced Basic Education Act of 2013" which implements Kindergarten and a 12-year basic education curriculum. Department of Education (DepEd) Secretary Armin Luistro was glad about this favorable development in PH education. He said that with the President's approval of this law the efforts of those stakeholders who worked on this didn't come in vain. Senator Ralph G. Recto, principal author of the Senate version of this bill said that the use of "mother tongue" as the medium of instruction for lower years could "better facilitate and expedite learning." He added this will make possible in "quicker comprehension." 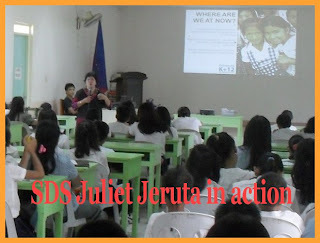 The acting SDS Portia M. Mallorca declared at the recent closing of 5-day seminar-workshop of 62 grade teachers in the division of La Carlota City, "We can do it. We're doing it for the future of the children, of our city, of our country." "Since We're the only chosen few, let's do it!" All the participants committed themselves for the implementation of K to 12 in a simple but solemn ceremony. Good morning Sir Gil! As a teacher, I agree on the implementation of K to 12 curriculum in order to enhance the quality of education in our country as well with the fact that we need to solve the problems of unemployment by training the students in their skills in order to become globally proficient citizens of our country. This should help ease the unemployment rate in the future but also it can help produce higher quality graduates upon its implementation. This K-12 program is the same here in the US. After graduating in high school they have the option to already work and/or pursue higher education. I am agreeable to this program and hopefully this will be implemented well to succeed. 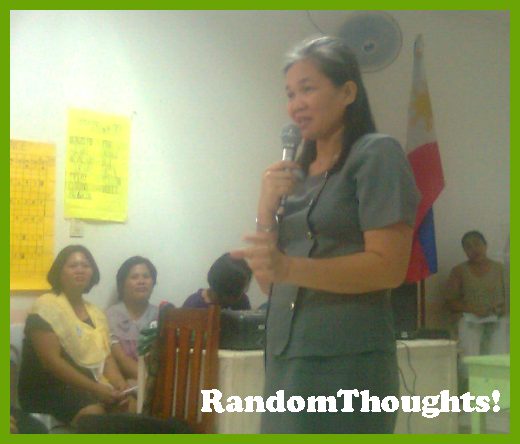 I believe in the K-12 curriculum but the only concern I have right now is the implementation. I remember during my daughter's orientation, all the questions during the forum are all about the K-12. It still confuses parents. 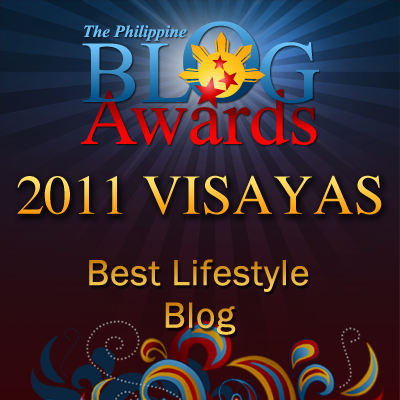 I just really hope it would be more structured, organized, and well implemented.